We're a small, independent security firm made up of dedicated security researchers and engineers. Our core mission is to drive long-lasting best security practices for companies around the world, stop intrusions, and kill some awesome bugs along the way. Get an overarching assessment of your behaviors and technology and defend against current and future threats by ensuring best security practices. We specialise in security design & reviews, code audits, and blackbox security testing. Test your team's incident response readiness and the effectiveness of your security tools before a real attack ever happens with a realistic attack simulation. We offer Secure Development courses, Offensive Security training, Incident Response Readiness teaching, and more. Want to run a hacking competition? We can build and host it with uniquely crafted challenges tailored to your niche and your players. Whether you're building cutting edge security technology or looking for advanced reverse engineering skills, we're ready to hear more about your tough engineering challenges. Alex started in Security by testing firms from an office on Wall St at Matasano. He’s worked on Product Security at Apple, Crowdstrike, and most recently the Security team at Spotify. Philip leads over a decade of experience in computer security. After working as a consultant for Bitnux, he started Programmatic improving the security posture of internet and finance companies. Dan previously worked as a security consultant for Bitsec AB. He specialises in vulnerability research, binary reverse engineering, and exploit development. Update: We're happy to announce that our session has been accepted at BlackHat USA 2017. Hope to see you there! 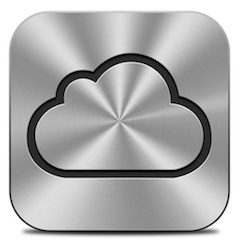 We will speak in detail about the inner workings of iCloud keychain and the OTR vulnerability. About two years ago, Eduardo Vela pointed out that the Navigator Beacon API can be used to exploit "accidentally-CSRF safe" websites. Philip Olausson and I recently noticed Chrome 59, which just shipped, addressed this behavior and we investigated a Flash bypass. At Longterm Security, we provide training for organizations looking to build up or improve their in-house Security Operations capabilities. Our other trainings include offensive security training which focuses on reverse engineering, vulnerability discovery, and bypassing exploit mitigations.We also have defensive security training for security design reviews, secure coding and testing methodology. © 2019 Longterm Security, Inc.